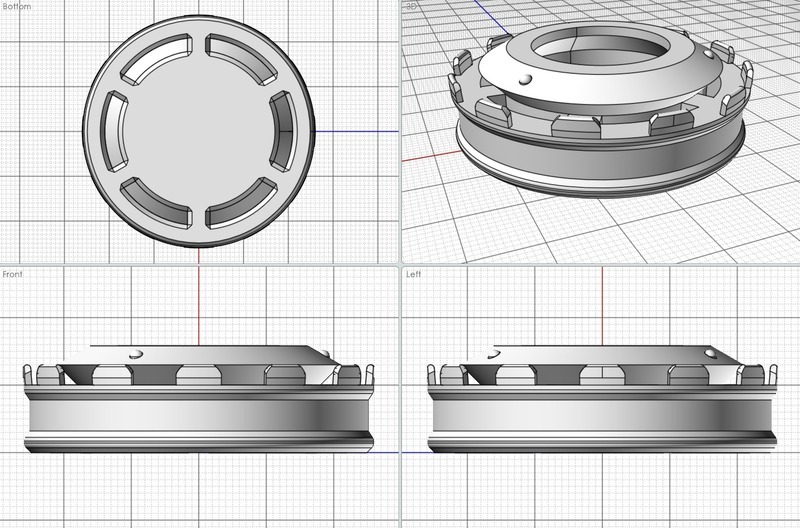 The final version of the "Bottle Baffle" is a bit deeper than the first designs. This is to keep the baffle straight in the bottle. It takes about 1 hour and 45 minutes to print. I will put the .STL file in a DropBox location for free download. The idea behind using this device is to keep any stray pancake mix from bubbling up into the hose. I will post the link to the download later today.